Pop Up Screens returns to the Hackney Showroom for a winter residency this year, transforming the former print works into a Cinema in the Snow. 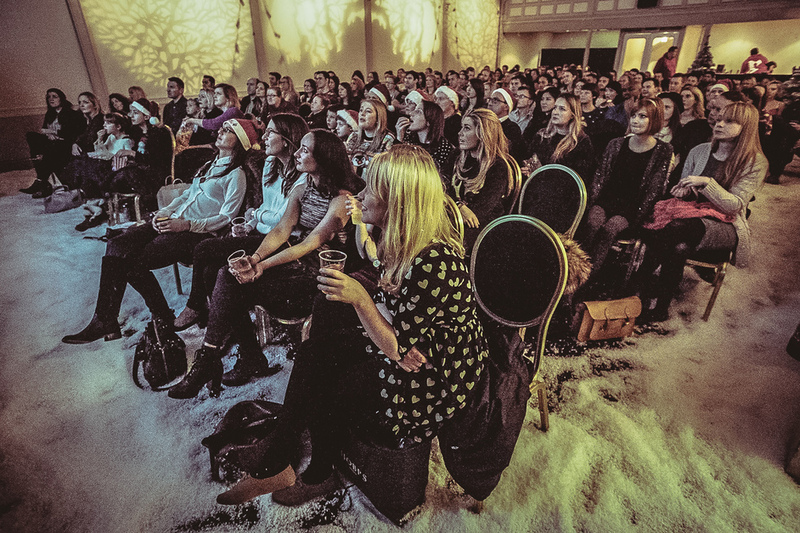 The winter wonderland will be a snow-filled world of film, accessed through a magic wardrobe, and feature a line-up of festive favourites, kicking off with Love Actually on 13th December. Other films being screened include Elf, Home Alone, The Holiday, Muppets Christmas Carol and Miracle on 34th Street as well as - appropriately enough - The Chronicles of Narnia. Hot Chocolate, handmade brownies, popcorn and mulled wine will be on offer and you can bet on a white Christmas here - on entering through the wardrobe, visitors will be greeted by falling snow. What are the best dining options near Pop-Up Screens: Cinema in the Snow London? Pop-Up Screens: Cinema in the Snow gyms, sporting activities, health & beauty and fitness. The best pubs near London Pop-Up Screens: Cinema in the Snow. Pop-Up Screens: Cinema in the Snow clubs, bars, cabaret nights, casinos and interesting nightlife. Where to have your meeting, conference, exhibition, private dining or training course near Pop-Up Screens: Cinema in the Snow. From cheap budget hotels to luxury 5 star hotels see our discounts for Hackney Showroom hotels, including DoubleTree by Hilton London - Islington from 79% off.